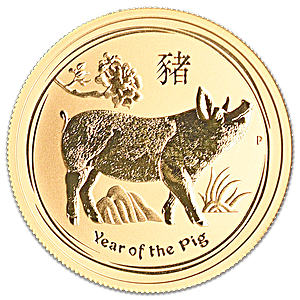 The 0.5 troy ounce gold bullion coin from the Perth Mint celebrates the 2019 'Year of the Pig' in the Chinese Lunar calendar, and is part of the Mint's Australian Lunar Series II coin releases. Those born in the Year of the Pig are said to be friendly, loyal, trusting, and generous. Each 0.5 oz gold bullion Lunar coin is struck from 99.99% pure gold and has a highly detailed and high-lustre finish. The reverse of the 0.5 oz coin features highly detailed imagery of a dappled pig amid stylized rocks, foliage, and a branch with a peony flower. Above the image is the Chinese character for 'Pig' and encircled below the words 'Year of the Pig'. 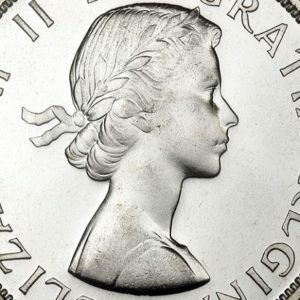 The obverse of the coin features a portrait of Queen Elizabeth II, designed by Ian Rank - Broadley, with the words 'ELIZABETH II' and 'AUSTRALIA' encircled above. 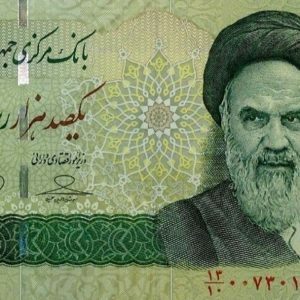 Below the portrait, are specified the coin's year, 2019, along with the weight 1/2 oz, and gold purity '9999 GOLD'. This 2019 0.5 oz gold coin is legal tender in Australia with a face value of AUD 50. 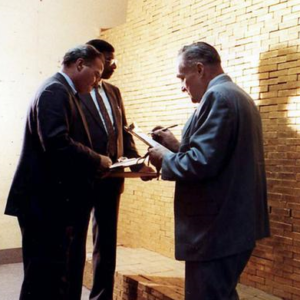 The Perth Mint is both a mint and a refinery, and the Mint's refinery in Western Australia is one of the largest precious metals refineries outside of Switzerland, with a refining capacity of 700 tonnes of gold per annum. Each 1 oz gold bullion 2019 Lunar series coin is delivered in an original coin capsule.